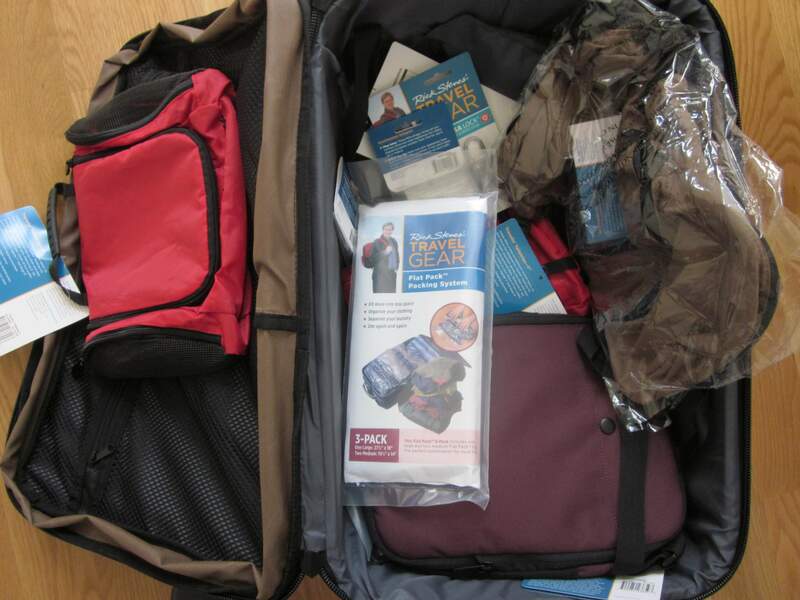 On Saturday, in anticipation of a trip to Spain, my husband and I attended a class to learn how to pack a suitcase. While this may seem akin to taking a class on tying one’s shoes, if you saw how we normally pack for a brief road trip you’d understand. To prepare for a few days in Eastern Washington or Vancouver, B.C., we fill an SUV trunk and rear seat with suitcases stuffed with clothes for every occasion, boxes, pillows, New Yorkers, books, CD’s, snacks, food from the refrigerator that would have spoiled while we were gone, wine, extra shoes and boots that don’t fit in the suitcases, and umbrellas (no matter what the season). It became obvious that others share our tendencies to assume that nothing we normally use, such as toothpaste, will be available to us anywhere outside the Seattle area and, therefore, we must carry it with us. I say this because we could only find a seat in the balcony of the performing arts theater where the “Packing Light” session was held. The main floor was full. The class turned out to be a demonstration of unpacking, and not packing, but it was instructive. I had never seen a suitcase where everything fit into something else. Each class of items one would typically pack — clothing, toiletries, underwear, medicines, shoes — got its own bag. The presenter showed how she had rolled up her clothing and stuffed it into the largest bag and everything else into smaller bags. She encouraged women to carry a ziplock bag for scarves, since these would be the only thing that would disguise the fact that they were wearing the same pants and tank top every day for weeks, though I’d expect the scents emanating from the clothing to give the game away. Our wallets were the only things I would characterize as “light” when we exited the Rick Steves travel store. We walked out with two new suitcases, day packs and all the bags that fit in them. I still don’t know where we’re going to put the pillows, umbrellas, boxes of food that could rot while we’re gone, and the extra shoes, boots and toothpaste. This entry was posted in humor, travel and tagged luggage, packing, preparing for a trip, Spain, what to take on a trip. Bookmark the permalink. I don’t understand the point of all the separate bags…obviously I don’t know how to back either. Your road trip packing sounds like ours, except we add a hot water pot and coffee mugs so we can have coffee in our room no matter where the room or what is offered as an in-room amenity. I’ve given you all my tips for packing so if you want a refresher course, you’ll just have to sign up for my Packing Light Tips class ;-). The last time I went to Europe with my mother, she packed all her worst underwear and simply discarded it once it was worn.